Rejoice in the little things, give in to whatever tugs at your heart...and off you go! 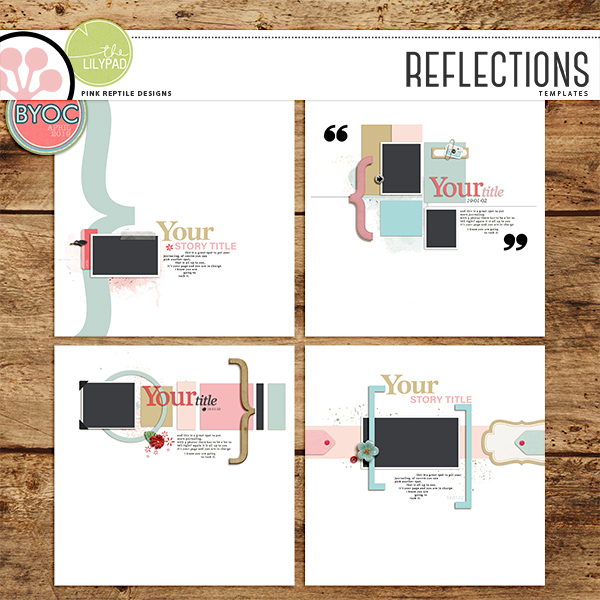 Let these 4 amazing 12 x 12 templates help you tell your story in an eye catching way. 4 12x12 templates in .PSD, .TIFF and .PNG files. Shadows are included in all file formats (use them as-is, edit them or delete and create your own). A great set of 67 unique elements [69 in total] in all kind of shapes, sizes, textures and styles. Made to help you look back and reflect on things that went just as planned or maybe not quite so. All created at 300 dpi for high printable quality. 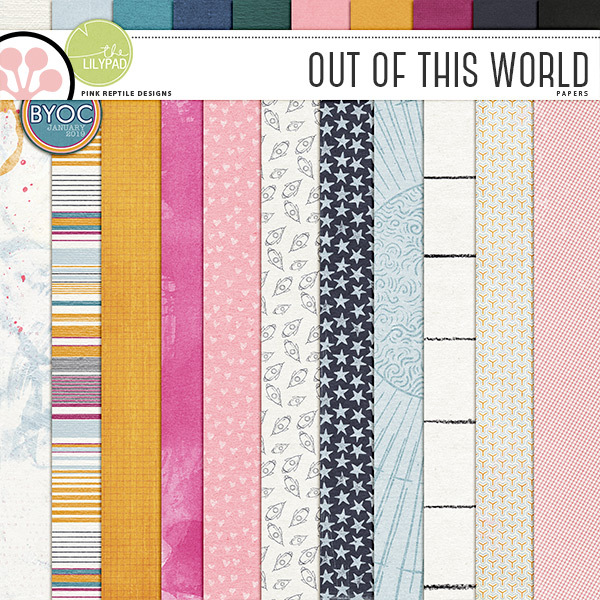 A great set of 12 beautiful, trendy patterned papers, 13 alternate color combinations PLUS 11 gorgeously textured matching solids. Which makes this a pack of 36 papers in total!! This timeless wire paperclip alpha includes upper case, numbers and a bit of punctuation [!?&*(). and ,]. All seperate .png's 44 characters per color, 12 colors in total. Perfect for some eye catching titles or monograms. 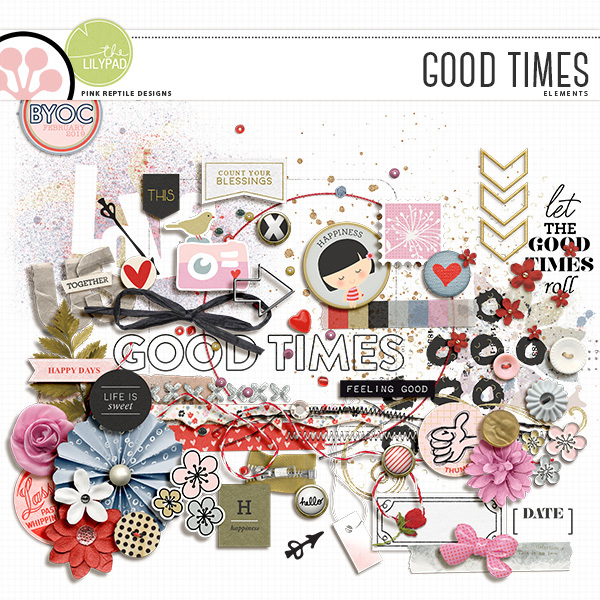 Let these 4 amazing 12 x 12 templates help you scrap some fun [sprin]g pages. A great set of 67 unique elements [74 in total] in all kind of shapes, sizes, textures and styles. 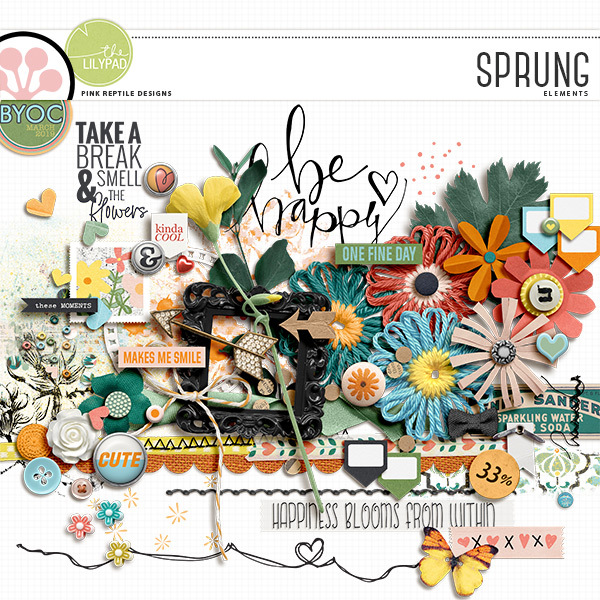 Made for scrapping happy, flowery spring pages! 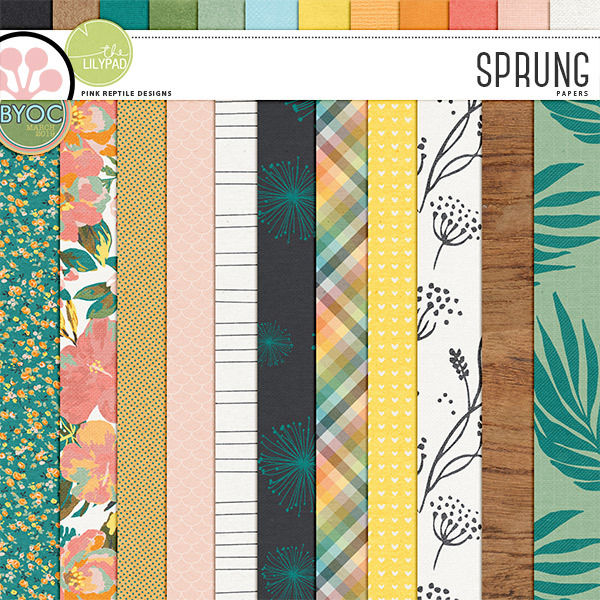 A great set of 11 beautiful, trendy patterned papers, 11 alternate color combinations PLUS 12 gorgeously textured matching solids. Which makes this a pack of 34 papers in total!! This timeless wire alpha includes upper case, lower case, numbers and punctuation. All seperate .png's 86 characters per color, 11 colors in total. 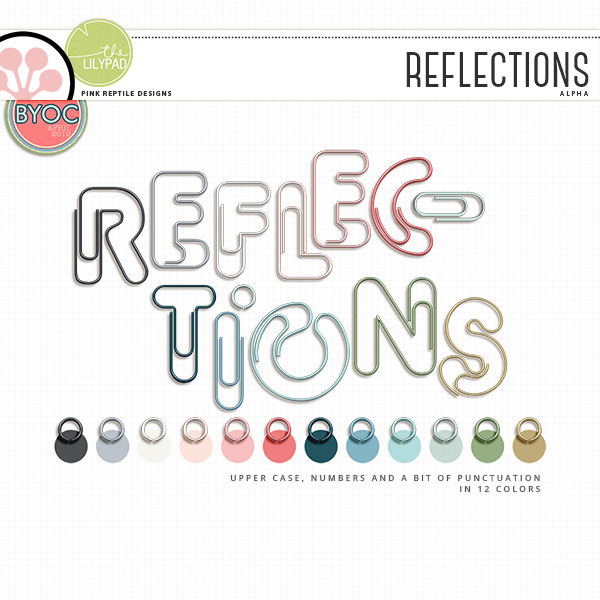 Perfect for some eye catching titles or monograms. 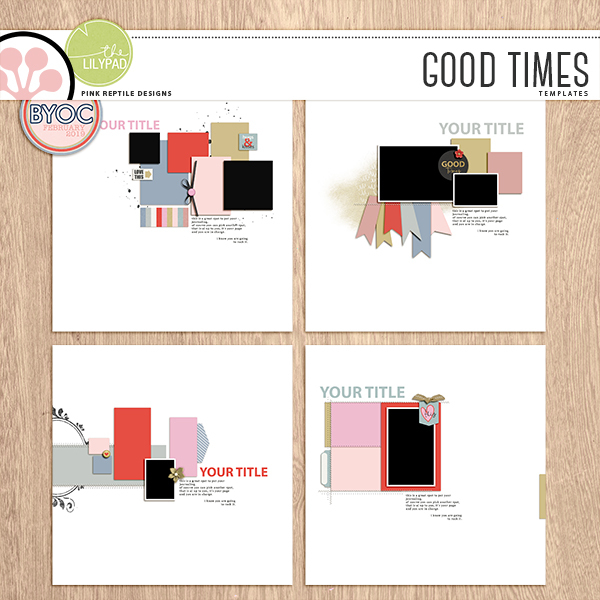 Let these 4 amazing 12 x 12 templates help you scrap the very best of times! A great set of 63 unique elements [64 in total] in all kind of shapes, sizes, textures and styles. Made for scrapping the best of times! 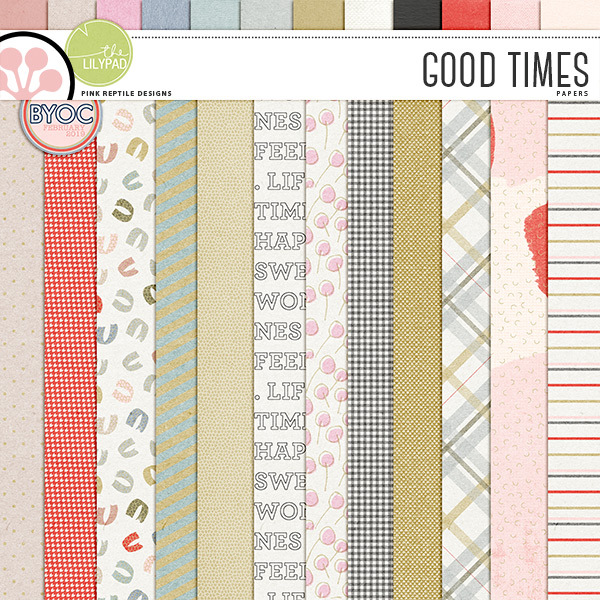 A great set of 12 beautiful, trendy patterned papers, 12 alternate color combinations PLUS 12 gorgeously textured matching solids. Which makes this a pack of 36 papers in total!! 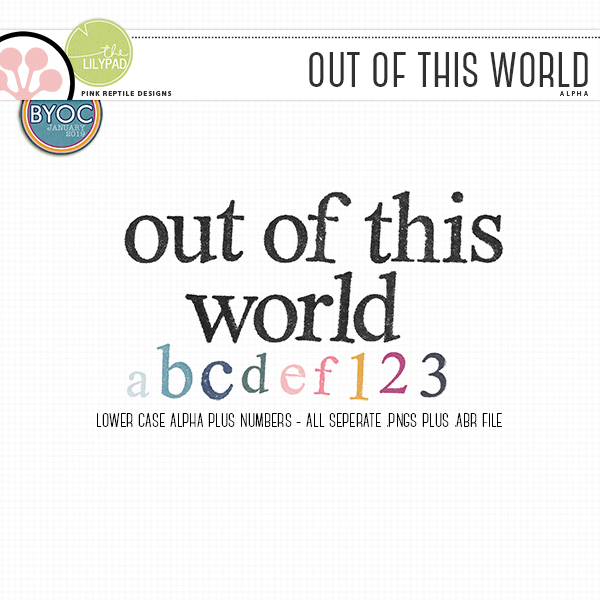 This super fun eye catching alpha includes upper case, lower case, numbers and punctuation. All seperate .png's 86 characters per color, 10 colors in total. Perfect for some eye catching titles or monograms. 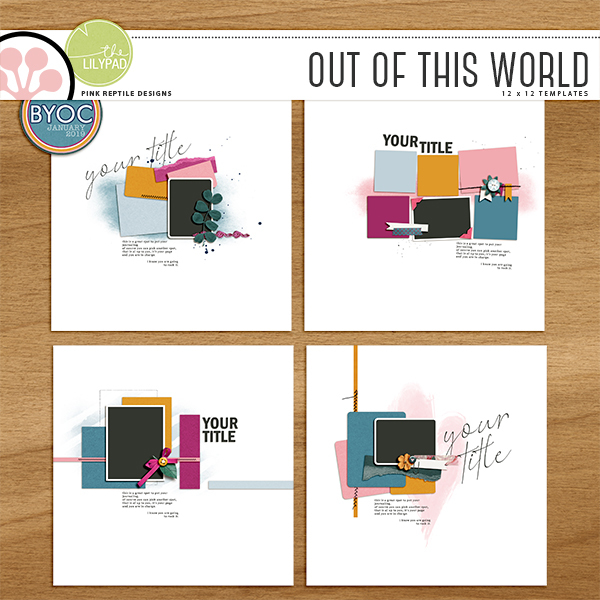 Let these 4 amazing 12 x 12 templates help you scrap those out of this world moments. A great set of 58 unique elements [70 in total] in all kind of shapes, sizes, textures and styles. Especially made for scrapping those out of this world moments! 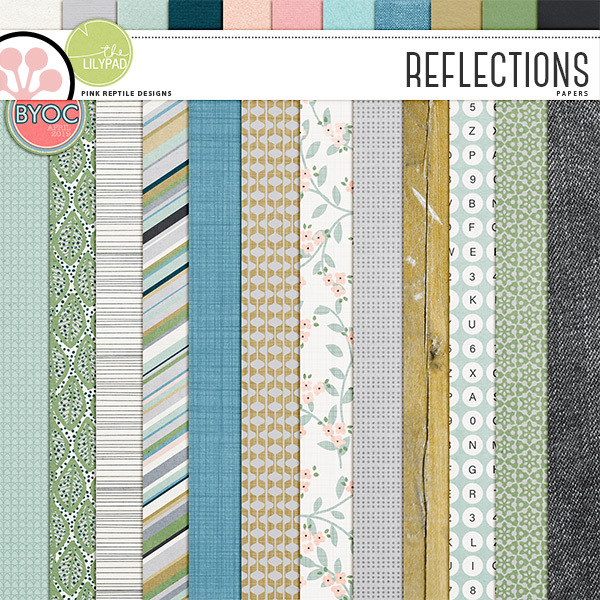 A great set of 11 slightly grungy, timeless patterned papers, 11 alternate color combinations PLUS 10 gorgeously textured matching solids. Which makes this a pack of 32 papers in total! !